I love blogging but I don’t really love being on the internet. Let me explain. Creating content, whether it’s recipes or craft tutorials or just photos from a trip I went on, and then sharing that content with others is WAY fun. This is what blogging is, sharing content online. However, in order to be able to do that well I have to own and operate a website. Which means I have to try and navigate the world of domains, hosting, what’s-a-server-again?, site speed, SEO, etc. This stuff can feel pretty overwhelming sometimes, maybe you feel the same? And although I am not an internet expert, I have been blogging for over ten years and I’ve learned a lot during that time. One area I feel I’ve learned a ton in this past year is hosting. Some of you may remember that we moved our website last March and during that transition we also had to change our hosting situation out of necessity. It wasn’t always smooth, and there’s still a lot about our current set up that I don’t feel 100% on. But, like I said, we learned a lot and I have a feeling a lot of you who are also bloggers and website owners deal with these issues too. So, I thought I’d share the best resources that we currently know of when it comes to hosting. First, what is hosting? There are a million analogies out there, but the one makes the most sense to me (and keeps it the most simple) is to think of hosting like renting a building downtown for your business. It’s something that holds your stuff, can be designed how you like, runs your basic utilities, and then makes your content or business available to the public. And then depending on how much you want to build yourself vs spend in rent, you can decide what features come built into the space. E.g., If you’re planning a restaurant, it might be worth it to pay a little more for a space that’s already plumbed for it. Or if you’re running an online shop, it might be worth it to pay a little more for a platform with e-commerce already built into it. Just like buildings for rent can be everything from just an empty room all the way up to a furnished office, hosting can be everything from a blank server(s) all the way up to a pre-loaded and managed application (something like Squarespace or Wix). 1. Domain Name Server (DNS): This is how your domain name connects to your website. So your website is actually located at an IP address, which is a 10-digit number that looks something like 104.25.39.105. 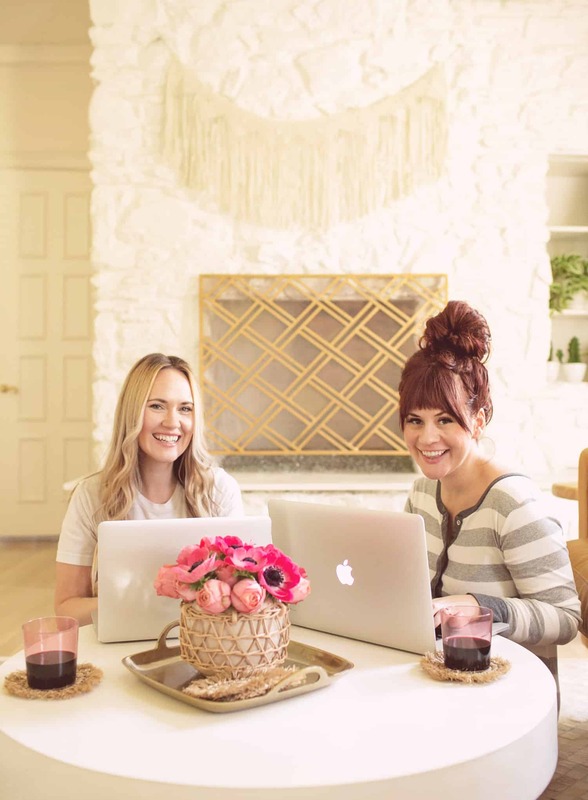 Since no one is going to remember that ever, you create a domain name like www.abeautifulmess.com. And a domain name server does nothing but direct traffic. So you type in a site’s address, and the DNS will take that request and point you to the correct IP address. It’s like the sign that hangs outside of your restaurant you just opened. This service is almost always separate from the rest of your hosting, and many services specialize in (or on that in a minute). 2. Application: So if you’ve ever logged into the backend of a blog, you’re looking at the application. It’s the thing that turns all of this I’m typing right now or have ever typed on this site into the designed A Beautiful Mess website that you’re reading. Rather than me manually styling every thing individually, our WordPress application does all that for me. Examples of applications are WordPress, Blogger, Typepad, and Squarespace. In our example this would be like a space that already has plumbing for a kitchen. This might be a more desirable spot to rent for your new restaurant than a blank room you’d have to add all that too. 3. Database: Data, put simply, is your text and your settings. Everything you type in a post, or every time you check a box in your application, designate the size of an object, assign a link to a button, that’s data. And it’s stored on your data base. So space to store your things, pretty straight-forward. 4. Storage: So these are your files, and it’s primarily things like images, videos, or PDFs. So everything that isn’t the look of the website itself. In your restaurant this might be a big walk in refrigerator to store the food you will prepare. To bring it all together the DNS takes you to abeautifulmess.com, where the application loads/styles data from the database which links you to the files in your storage. When people say hosting though, they’re primarily referring to 2 through 4 in the list above. I’m going to talk through three different directions you could go with hosting, making a few notes about DNS at the end. We’ve used all of these over the course of our blog’s life and I’ll explain the pros and cons of each. 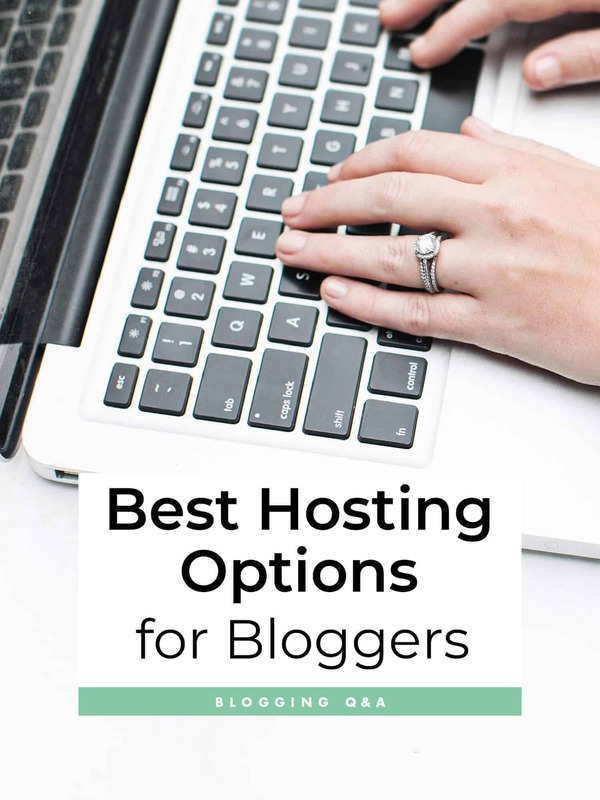 This is where most bloggers start, and I would totally recommend starting a blog and growing it on a platform that is also your hosting service. Some of the main options here are Typepad, WordPress.com, and SquareSpace. With a platform, it takes care of everything for you. You create an account, and the application is already setup, plugged into a database, and it’s managing your storage. You don’t really have to think about hosting. To come back to our analogy, this would be like wanting to start your own restaurant and renting a building that used to be a burger place. It already has your grills, a hood, the plumbing, etc. However, in this analogy, your landlord is not okay with any major construction. You can paint, put up your own signage (point your domain there), rearrange the furniture, etc. But if you had really specific functionality needs, like a brick oven for pizzas or something, you wouldn’t be able to do that. Services like Typepad or SquareSpace are the same. What you gain in ease, you lack in flexibility. So if you have really particular needs that break outside the norm of a website, it’s a little harder to accomplish in this environment. That said, you still have a LOT of options, when it comes to a standard website. These services offer plenty of ways to customize. A Beautiful Mess was built and grown on Typepad and we really loved the platform. It was super affordable, especially when you considered that we grew the blog from 0 to over 2MM page views a month without our monthly price changing! You can have your own domain name (so abeautifulness.com vs abeautifulness.typepad.com), you can customize the site some but you will need some coding skills or hire someone with front end experience (you can also use themes to get started and need little to no code skills), and you can grow your revenue through sponsorships and CPM based ads as your blog grows. Basically, Typepad has everything a blogger needs to get started and it’s super affordable. I have some limited experience with SquareSpace, but I love the clean and modern looks they offer without any coding. I would certainly consider having a shop site on that platform and possibly a blog as well. The main drawbacks to these types of companies / services is that they are not self-hosted, meaning you don’t own the application your blog is built on AND you will be more limited in the customizations you can add to your site. So although I think this is a great place to start, as your blog grows you will probably want to migrate to a self-hosted situation later. For some this may mean they simply start there, as they don’t want to mess with migrating later, while other sites could be content to stay on a platform like Typepad forever. It kind of depends on your goals and how much customization you need / want. So here, you own and install your own application, database, and storage files. So you have to take care of the health of your files and your platform, but the health of the server(s) will be completely handled in the background. Back in our building example, this would be like renting a big open space that’s already got the basics, like plumbing for a bathroom, electrical for lighting, heating/cooling, etc. And your landlord is cool with whatever buildout you want to do inside the space. Meanwhile, she’ll take care of your basic utilities, fix the furnace if it goes out, etc. However, if you ever wanted to grow your space, you couldn’t add on. You would just have to move to a new building. It’s similar here. They’ll take care of the technical side of servers for you, and they’ll offer ways for you to scale up to a certain size (meaning up to millions of pageviews). However, the bigger you get, the trickier it gets to scale; or the more expensive. Last year we moved our blog from Typepad to WordPress.org. Our goal with the move was mainly to have a lot more customization options available since it is an open source application (hello Plugins—there are SO many options out there) as we felt that at this stage in our blog’s life this would potentially offer the best experience for both our readers and our writing team. Our biggest needs we couldn’t address was that we didn’t have enough control over our site’s loading speeds as well as issues we were facing with image quality—considering screens are getting higher and higher resolution (thanks a lot Retina). But this also meant that we had to choose a new hosting company and we explored a lot of options. We had to weigh out a managed self-hosting against cloud-based, which I’ll talk about next. We ultimately chose cloud-based for abeautifulmess.com, though for acolorstory.com, which has simpler traffic needs, we put it in a managed environment. So let me talk about one of the best valued managed hosting options out there. Bluehost – You can both buy your domain and set up hosting on Bluehost. It’s SUPER easy and their customer service is great if you run into issues. They offer a few different options (with multiple tiers in each) so it’s a great place to start as well as grow since you can pretty easily move between options as needed (since it’s all one company and you can reach out to customer service anytime). They have shared hosting, virtual private servers, and dedicated servers which are all managed by Bluehost. The only drawback is as your site grows (more page views) the price will change and it can become expensive. Or if your growth is too sudden, you’re limited in your options to scale the size of your hosting quickly. But again, we’re talking millions of pageviews at this point. It’s a pretty seamless process all the way up to that point, so Bluehost is what I would recommend to any blogger who isn’t on a service platform. Some other managed self-hosting options to look in to: Host Gator, WP Engine, and Media Temple. We haven’t personally used these but we’ve had friends use them or they have been recommended to us by friends so they are probably well worth checking out. All right, so now you’re just renting the land, but you’ve got free reign on new construction. You can scale and build as much as you want. You have the utmost flexibility with the utmost responsibility. With cloud-based hosting, you’re able to run your site across multiple servers, optimizing for speed, and you can add or remove servers as needed to match your traffic on any given day. However, these servers need to be set up by someone who knows their way around hosting before you can even load your application or database on them. This is where the service we currently use comes in. AWS – This is Amazon’s hosting service and it’s what this blog is currently using for our hosting. For us and our current size (again, over 2MM page views a month with lots of files including lots of images as we are a photo heavy site) it is the most affordable self-hosting option we’ve been able to find. The drawback is you really need someone (a team member or a contractor / third party company) to set up your hosting instances as well as maintain them. Should we have a day when one of the servers we are on goes down, someone will have to manually move us to another server or else our site may go down and not be accessible to readers for a little while. Honestly, we’d only recommend this if you’ve either got some experience in dev ops, or your site experiences big spikes that require a flexible set up for traffic in the millions. Credits // Author: Emma Chapman and Trey George.Photo: Janae Hardy. I love WIX too, Kay! I think the user-friendly side of it means anyone can use it, improve it, and feel like they are in control of it! And when you feel like you can really run it, you actually work on it! By day I work for an online lighting company where everything was built custom in house to manage the website. Adding any new feature requires dev work and is a major hassle. With this I definitely chose the easy to manage for me route of Squarespace for my business’ site. I love it for the stage of business I’m in (first year) where I don’t want to spend any money on dev support yet. Yep, in our experience (for our bar’s website) Squarespace is pretty awesome. Thanks for sharing Brooke! This is SO incredibly helpful. I’ve thought about blogging and have attempted to several times, but I would get so bogged down with everything that I would give up. This gives me a good starting place and a better understanding of what everything does. Thanks for this article!! Great recommendations from the post. Learned new hosting ideas from this. Thanks. Haha here I am at a hacker conference, checking my phone for some distraction from the computer stuff ;). Nice work on translating the tech stuff to the non-techies though. I am the kind of person who thinks of dns first when I think about hosting, but it’s definitely not the most important thing for most actual users. Thanks for this insight! I’ve had a personal blog on Typepad for a few years and fallen away from writing regularly. I want to start fresh with something in the new year, and this post is definitely encouraging me to do so! Rather than trying to go back and re-hash my old one, I think I’ll start from scratch 🙂 Anyone have any recommendations of hosts with retail built in? Thank you! I’ve heard that Squarespace is pretty great if you’re looking for a combo blog/shop. Our shop (ouifresh.com) is a wordpress site, it’s got some pretty good plugins for shop functions. Although I must admit that we haven’t found a great subscription plugin yet, the one we use has quite a few limitations that make that portion of our shop difficult for us sometimes. If anyone knows a good subscription plugin let me know! Oh man! Talk about a wealth of knowledge. You’re expertise is staggering and it’s so great of you to share it with all of us. Very appreciative. I’m loving SquareSpace. It’s so easy and the help section is very comprehensive. This post is one of the few I’ve found that actually explains the basics in a way that is easy to for a newbie (a.k.a. ME) to understand! Will definitely be bookmarking this for later! I’ve started my blog on Wix and I find it really easy to use so far. I <3 WordPress and have used it ever since I switched over from blogger. People always freak out that it's hard to learn but I think with anything in life, it just takes a learning curve for a few months and then it becomes second nature. All of the different features and widgets are what I LOVE about WordPress and couldn't imagine using anything else. If I were to switch I'd most likely try SquareSpace but I just love the way WordPress formats and don't ever love commenting on blogs that use SS. Thanks for sharing all the tips! Managing a hosting site requires some serious efforts to get the best outcome. Your efforts on this writing gave me a constructive idea of hosting handling. I am planning to launch a new site which needs plenty optimizations. Your mentioned points are worthy and effective to identify best hosting options for my site. Very informative post, I really love the writing style, you have explained every technical aspect with ease. Keep posting. Awesome style of presenting it. Loved reading. Emma, I have been seriously considering starting a website (I do upholstery and I think I have some interesting ideas for home furnishings). I had pretty much decided to go with Bluehost and WordPress, but this clinched it for me. Thanks so much! I have tried many hosting providers but so far accenthosting is best for me in terms of everything. I love your website and A Color story app (just bought the Golden pack! ), but for whatever reason, I only recently found your articles on blogging. I’m so glad I did! I use wordpress.org for my blogging platform, SiteGround for hosting and the Genesis framework with Gallery Pro Theme for style! I cannot say enough good things about all these. Years ago I had a food blog where I also used wordpress.org, but I chose a free theme and styled everything from scratch. If it’s in your price range, I would definitely consider a premium theme and then slowly learn to tweak the CSS styling of your site. It can save a lot of time. As far as choosing SiteGround for my host, I did it because I use shared hosting (for price and blog size), and they pioneered effective account isolation across shared hosting plans. Just my thoughts… excited to see what others discuss here!! Yes nice way to provide information about the best options available for bloggers to have web hosting as having a good web hosting facility is the first step towards the success of a blog. Thanks for your article, it’s been the best explanation of hosting in normal people speak that I’ve come across. How about using blogspot? That’s what I have. 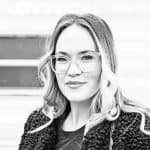 Thanks for the writeup Emma, I have been using Bluehost and WordPress combination for several years and I am just loving it. Hey Emma, I am not an expert like yourself but the way you wrote this post made it very clear to me. Thanks for the great information here. Thanks, Emma for this useful article. Yes, I agree, using a good hosting for a blog or any online business for that matter is essential. You have explained different types of hosting types very sophisticatedly, and it was easy to understand for noob like me. I will tell you my story, a bad experience: A few months ago I acquired the “1984.is Hosting Company” service and I hired your hosting because it had a very good reputation, in Iceland they place it as the best. But after I made the payment, they canceled my website, they kept the money I paid them and they did not solve the situation, now my website is still down and they never answered, they are scammers.